Women make brillant activists, community organizers and are born revolutionaries. Unfortunately, as with most revolutions, women’s faces and narratives are never televised. The Black Panther Party was formed in 1966 with the goal of protecting black neighborhoods and ending police brutality. It quickly expanded throughout cities in the U.S. and their protests, arrests and community actitives made them popular male-dominated icons of the 1960’s counterculture. Women played a huge and instrumental role in shaping and in leading the organization. By the early 1970’s, women accounted for two-third of the party. They were very influential, held leadership positions, called out sexism, implemented programs that were not only vital to keeping the organization running but keeping the black communities intact. They showed how women could be active, make their presence known, be publicly strong and revoluntionary figures alongside the men. 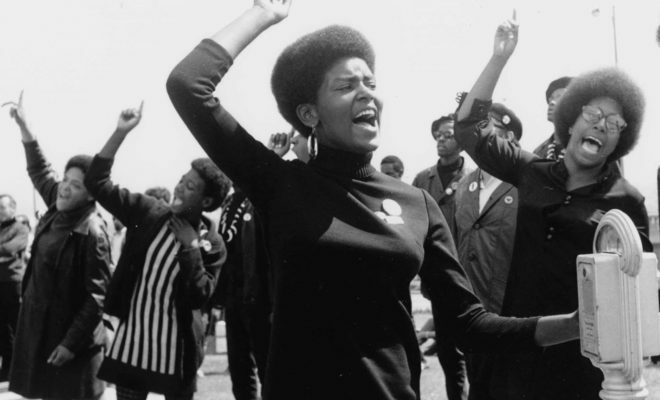 2016 marked the 50th anniversary of the founding of the Black Party movement and the Intersectional Black Panther Party History Project spoke with Panther women about today’s political struggles, leadership, electoral politics and what we should be doing today.